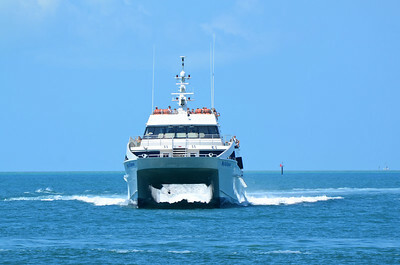 Key West has the only deep water channel and harbor in the Florida Keys and therefore becomes a destination for all types of ocean going vessels making the trip around Florida. 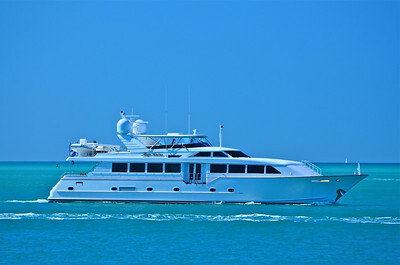 The variety of water craft seen on a daily basis ranges from cruise ships, military ships and cutters, private yachts to paddle boards. 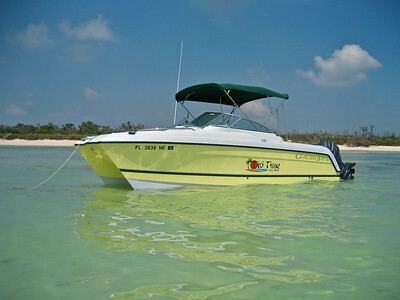 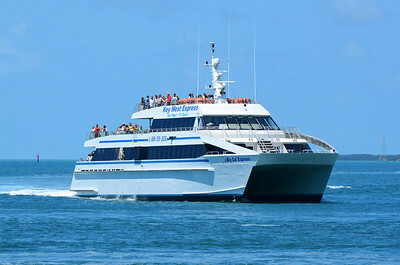 The 170' Key West Express catamaran makes round trips daily between Fort Myers Beach and Key West. 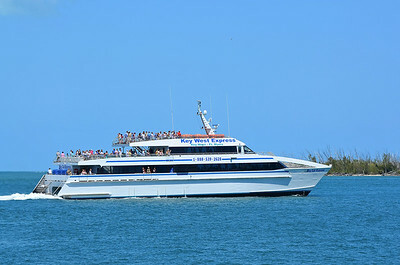 Tiki Time is a Glacier Bay 22’ power catamaran that docked in Key West but was at anchor by Boca Grande Key in this photo. 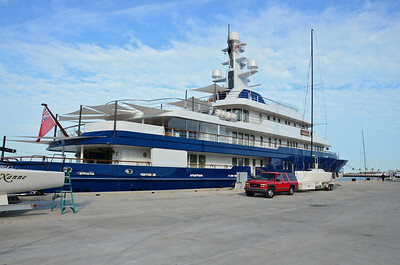 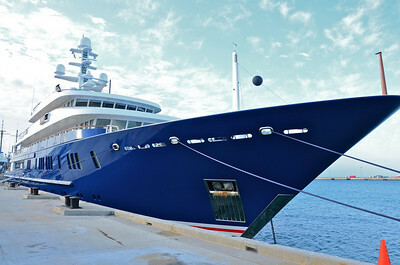 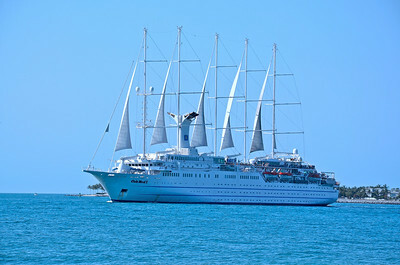 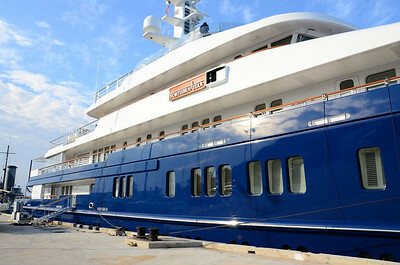 In Key West on March 26, 2011 the Club Med 2 is one of the largest sailing cruise ships in the world at 637 feet. 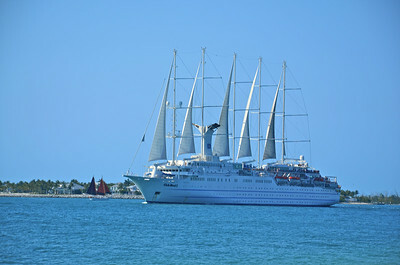 A five-masted, computer-controlled sailing ship owned and operated by Club Med, it was launched in 1992 in France and carries a maximum of 386 passengers with a crew of 214 on various cruises around the world. 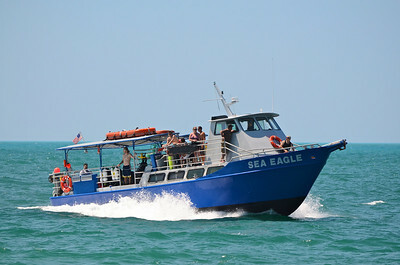 The Sea Eagle is a dive boat located in the Key West Bight at a dock beside the Conch Republic Restaurant and provides daily trips to the reef. 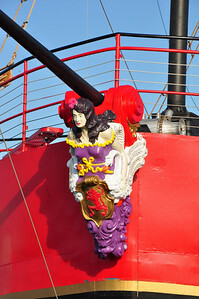 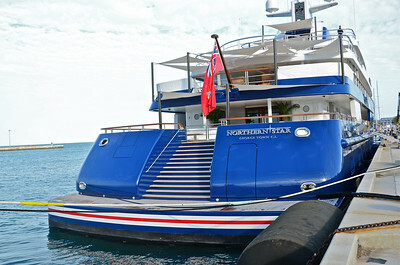 In port in Jan. 2011 for the sailboat races, the Northern Star is 248' long and holds 52,000 gallons of fuel. 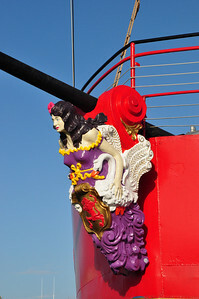 Since we didn't get invited to the party I just have these pictures from the dock! 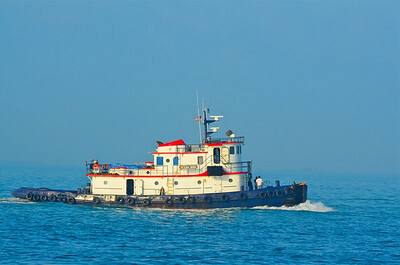 Ocean Wind is a sea going tug boat. 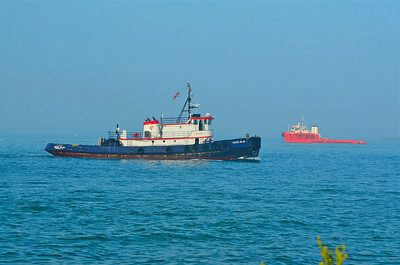 Ocean Atlas is a sea going tug boat. 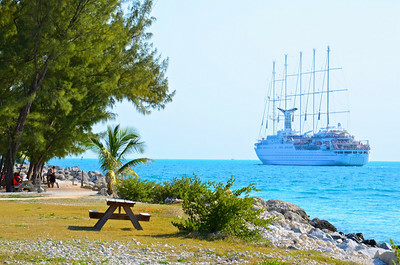 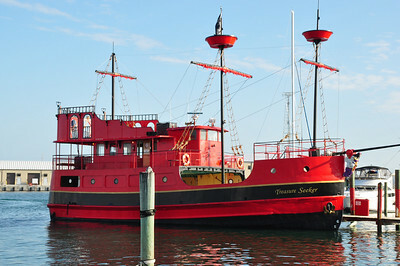 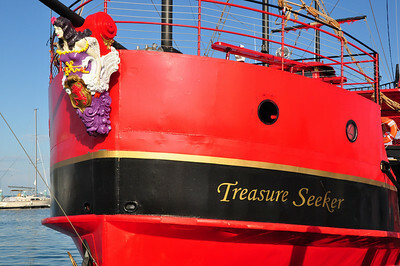 What better destination for a Pirate ship than Key West--even though it is a ship that seems to be built for tourist cruises and not treasure plundering. 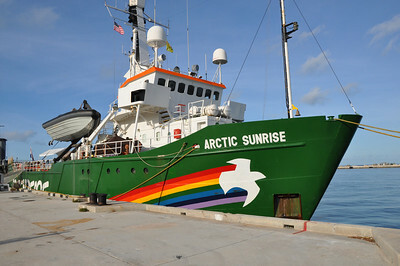 Arctic Sunrise is the smallest ship in the Greenpeace fleet however that does not prevent from it from taking action against illegal loggers in the Amazon river, illegal whaling by Japanese vessels and climate research in both the Arctic and Antarctic seas. 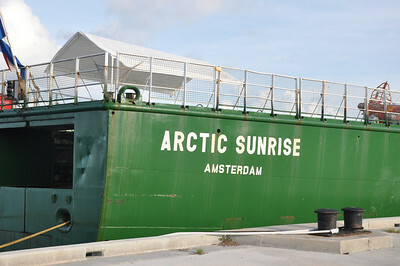 It stopped in Key West in August 2010 on its way to do environmental research in the Gulf of Mexico after the recent massive oil spill by the BP drilling rig collapse.